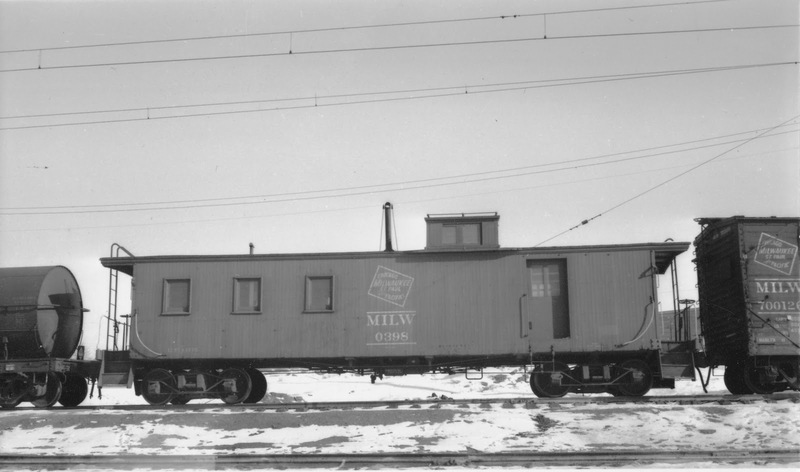 This is the regularly assigned caboose to the trains that served the Moses Lake and Marcellus branches, in 1949. Known as a "side door" caboose, these were common on branches that had eliminated their regular passenger trains but wanted to still accommodate a small, but necessary, ridership among mostly male patrons. "I tried to comment that your caption implies that the side door had something to do with passengers. Not so, the door was for LCL freight. By carrying the little bit of LCL in the caboose the company avoided tying up a box car. "I concur that the car has length for a few (8 maybe) coach seats, but passengers would have entered and exited at the end door, platform, and caboose steps, just like the train crew." Note the arch bar trucks!